Via Memphis Daily News– Demetrius Fields, a high ranking member of the Craig Petties drug organization, drew the longest jail term of those convicted in the largest drug case ever brought in Memphis federal court. Memphis Federal Court Judge Samuel “Hardy” Mays sentenced Fields to 37 years in prison on one count of racketeering conspiracy, one count of drug conspiracy and one count of money laundering. Fields entered a guilty plea to the charges in October 2011 and testified at the trial last year of Clinton Lewis and Martin Lewis, the only two charged in the case who went to trial. They were convicted of racketeering and drug conspiracy charges as well as murder for hire and are awaiting sentencing. Federal prosecutors did not recommend a reduced sentence for Fields despite his testimony because shortly after the trial he was suspected of trying to have a kilogram of cocaine delivered to the federal prison in Mason, Tenn. where he is a prisoner. Fields has denied the allegation and faces no criminal charges in connection with the arrest and indictment of Tamara Strickland. Strickland told police and federal investigators that Fields himself called her on a cell phone from the prison to arrange the delivery. Two other members of the Petties organization at Mason were also written up for disciplinary action after guards found they had cell phones. Weighing against Fields was an extensive criminal history as well as his role in the organization. Added to the factors used to formulate a sentencing guideline were several points against Fields for obstruction of justice. Fields cooperated and testified for a day and a half during the 2012 trial. But he got points for obstruction of justice in the sentencing formula because he helped plan the murders of potential witnesses against the organization specifically to keep them from talking. Also considered by Mays was the value of Fields’ testimony. “Mr. Fields’ testimony was very valuable but was not essential,” Mays concluded as he weighed the seriousness of the offenses. 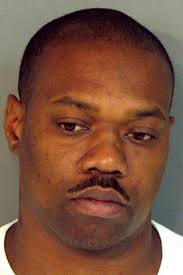 He drove codefendant Clarence Broady to the Memphis home of Mario Stewart so Broady could kill Stewart. Broady and Fields testified that as Broady waited in Stewart’s carport for him to come out of the house, Fields waited at a nearby park and fell asleep. Mays sentenced Broady to 31 years in prison for specifically for carrying out three of the six murders that are part of the narrative of the case and participating in a fourth. While Broady was a “contract killer” for the organization, Fields was involved in the planning of the murders and initiating them on orders from Petties who fled to Mexico in 2002 and ran the organization until his capture in 2008. Petties pleaded guilty in 2009 in a closed hearing and is awaiting sentencing. Fields participated from 2004 to 2008 in running the network of stash houses in the city where drug supplies were kept as well as shipments of millions of dollars each to Mexico where the drugs came from. Fields said nothing as Mays sentenced him on the second day of a two-day hearing. During the Thursday hearing, Mays apologized for his actions and said he regretted them. “You made some horrible choices in your life,” Mays told Fields at the end of the hearing. “But you’ve recently made some good choices,” he added referring to Fields’ decision to cooperate and testify as well as seek drug rehabilitation treatment while in prison. Co-defendant Bobby Cole was sentenced to eight years and one month in prison by Mays in October for the role he played in the last two years of the organization, shipping millions of dollars to Mexico as tons of cocaine and marijuana where shipped from Mexico into Memphis via tractor-trailer rigs for distribution here and in several states.